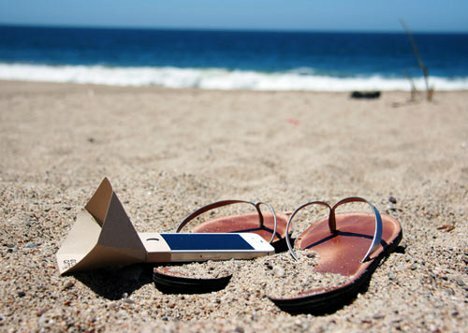 It’s the classic first-world problem: you want to share music from your iPhone with friends, but the weak little built-in speaker just isn’t cutting it. You have a few options here, but the Eco-amp seems smarter than most. 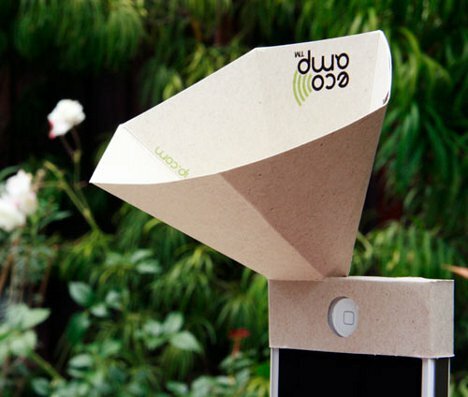 The Eco-amp from Eco-made is an environmentally friendly cardboard gramophone-type amplifier for your iPhone. It’s made of 100% post-consumer and alternative fiber paper so there’s no nasty e-waste to deal with. 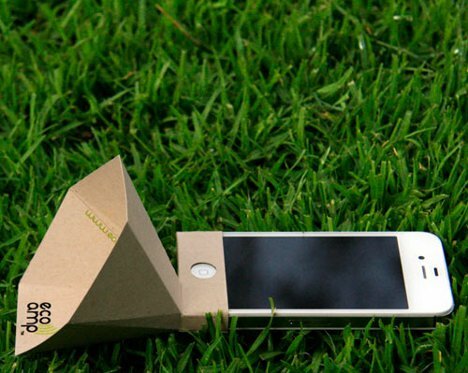 The amplifier is shipped to you flat, further cutting down on the environmental impact of the product. We haven’t tested it out so can’t attest to the sound quality, but the $7.99/2 price tag makes them a pretty safe financial bet. See more in Audio & TV or under Gadgets. July, 2012.